On March 12, 2016 at the University of Colorado, Denver, at the meeting of PhiloSophia: Society for Continental Feminism, I will be speaking on an Author Meets Critics panel discussing Robin James’ recent book. Below are my comments. I like this book. I like how Robin James says important things to a popular audience from a background in academic philosophy that remains unbeholden to that world. I like her independent voice. I like how, in Resilience & Melancholy: Pop Music, Feminism, Neoliberalism, James exemplifies what philosophizing out of a singular moment and specific site looks like. Her moment is neoliberalism and her site is pop music. James uses music as more than an example; in her hands, music is a place for developing a conceptual apparatus for neoliberalism. In music, we hear how the demand to turn damage into something productive works to make oppressed persons assimilate into the neoliberal apparatus. James references a whole slew of sources that signal the breadth of her influences in this project–from Adorno and Marcuse to Deleuze and Guattari, queer theorists Jack Halberstam and José Estabon Muñoz, New Media Studies theorist Steven Shaviro, political theorists like Jodi Dean, Lester Spence and Mark Neocleous, as well as cultural studies scholars like Zandria Robinson. Beyond those we recognize as theorists, James draws insight out of the work of pop musicians Lady Gaga and Beyoncé, Atari Teenage Riot and Rihanna. With this book, James expands the sphere of those figures worth putting to work in philosophy, just as her working out of music multiplies the sites in which thinking occurs outside of the center of well-respected philosophical discourse. In this comment I move back to those well-respected in philosophical discourse, somewhat abashedly and certainly not because I think James’ argument needs to be put in conversation with those folks in order to gain legitimacy. By no means. James’ work addresses a strain in political philosophy that shows her to be calling into question, even turning on its head, the structural framework within which we have thought about how to expand the sphere of the political to include those at the margins. It’s fitting that this structure is turned on its head through voices unheard in philosophy. At Politics I.2, Aristotle describes the difference between phônê, voice, and logos, speech, language that makes sense, as the difference between the capacity to signal what is pleasurable and painful and the capacity to signal what is good and bad, beneficial and harmful, just and unjust (Pol. 1253a8-18). Human beings are political, zôon politikon, because human beings are also zôon echon logon, animals that have logos, the capacity to organize their world and not just take it as pleasure or pain. Aristotle’s argument that we are fundamentally and superiorly interconnected and dependent on one another in our effort to live well depends on an argument that human beings have a unique access to language. One critique of the account of political life that follows from this conception of logos as what defines human beings, from Aristotle to Locke, is that it bars those who do not have logos, those who are not perceived to organize their world in terms of benefit and harm, good and bad, justice and injustice, from political life, and thus humanity (or vice versa). Continental political philosophers like Jean-Luc Nancy and Giorgio Agamben argue that community based on any defining characteristic held in common produces an exclusionary structure. Feminist and anti-racist theorists argue that the standard of rationality as what is required for political life from the ancient Greeks to European liberal social contract models of community rests on a white masculinist view of rationality. I have argued that logos needs to be more widely interpreted as more than ratiocination, as any effort whatsoever to make claims about what is good. On this account, decrying one’s exclusion is evidence of one’s belonging because it is a claim that something is unjust and not just painful. My position is that logos gets us there and we just need to make it manifest. I think James is suggesting in Resilience and Melancholy that the demand to appeal to logos, to show up as making meaning, is a neoliberal demand to show resilience. James argues that this work of using the complaint, the loss, to show that one belongs is the way that neoliberalism forces us to make meaning out of loss, out of damage. I want to ask in light of James’ analysis whether noise should be understood in contrast to logos. Then I want to ask whether noise is the same or different from phônê. I think that noise ends up looking more like logos, and then I suggest that it is part of the way that noise works both as disruption to the logos and what is already in a sense sharing the features of logos that makes it capable of being taken up as resilience. James’ analysis in light of these issues lead me to wonder whether melancholy is so much the refusal to turn noise into signal or rather the move to make the noise come to signal in a way that does not become co-optable. This line of inquiry will lead me to ask whether it is possible for signal to work in a way that is not co-optable. To return to that passage from Aristotle, we might first trouble the distinction between having phônê and having logos. Following work being done in Animal Studies in the vein of Derrida and others, we might ask whether and how the distinction between those who make noise, phônê, and those who speak, having logos, works. In the passage in the Politics that I reference above, Aristotle describes phônê as the capacity to signal pleasure and pain to others. Even with voice, something is being signaled, sêmeion. Phônê is not meaninglessness, not mere noise then, but a capacity to signal pleasure and pain, might we even say, satisfaction and distress, as in the purr of a cat or the cry of an injured coyote? The distinction drawn between signing about pain and pleasure and signing about good and bad requires us to consider what the distinction between pain and pleasure and good and bad is. The signification of pain and pleasure seems to occur in some sense as also a signing that this pleasure is good—come eat the berries I have found, come, ducklings, follow me through this grass, come open your mouths to eat these worms; or, avoid this, this pain is bad—this trap hurts, these berries do not make me feel good, this predator threatens. Why does threat only need voice to signal while the unjust requires logos? Heidegger tells us that animals are world-poor because they lack language, but what kind of difference are we to make between language and voice to show that threat is a judgment that follows from one less immersed in a shared existence than the judgment of injustice would show? How is the sound that signals threat a less meaningful sound than a sound that proclaims injustice? Both are cries that what is should not be, the pain on the one hand and the exclusion or oppression on the other. I admit that it might not be the case that phônê in Aristotle is the same thing as noise as James uses it. Ancient Greek has a different word for noise than voice, psophos, though it is worth noting that this word is often used in the sense that Aristotle uses phônê in Politics I.2. Euripides uses this term to refer to an inarticulate noise, Aristotle to the sound of thunder (Metaphysics) and to the sound that insects make but not by the larynx (De Anima). Sophocles uses it to refer to the pleas of Menelaus to properly bury Ajax (Ajax), Aristophanes to the chatter-like sounds of birds in a mockery of democracy in Birds. Plato has Theaetetus use psophos when referring to the sound ‘s’ makes, “a voiceless (phônê) letter, a mere noise (psophos)…” Noise seems below phônê on the meaningfulness scale for the ancients, and yet, as these examples show, at the site of the question of whether something should be meaningful or not. When Heidegger says the animal means nothing by its cry, its voice, he seems to insist on the sameness of phônê and psophos. The signaling of pain and pleasure is saying nothing, because it is not saying what is good. But in fact, it is only from the perspective of those who are sure that their speaking is saying something that the unrecognizable phônê is saying nothing. If noise initially seems to be meaningless, even the noise seems to make a claim. This seems to be the convention that silences or renders meaningless the noise. The conversation between friends or lovers or business partners on this or that Wednesday has to be about the noise, about the antagonism in order to have clarity. Noise interrupts flow. So the conversation ends up being about the interruptive. And we can ask while also experiencing the materiality of the noise, the noise we must engage and through engagement use as a platform for seeking to think and do and be otherwise. Crawley goes on to raise concerns in light of the noise of Beyoncé’s “Formation” video of the voices in the video that are heard but not seen, like the queer person of color Big Freedia. Thus noise might seem to cover over the claim of some to be heard, just as noise might work as making a claim that the present order that presumes to be just and good is not, and it is not, because it takes as noise claims about justice and truth. Noise work in its disruption, but this disruption could go either way. 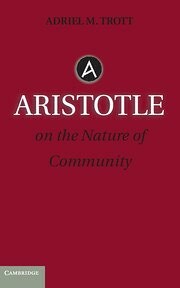 One might attest, as I have, that logos does the work of achieving justice, of giving a share in the community to those to whom it is due, and that the distinction between phônê and logos fails to delimit because phônê itself would appear to do the work that Aristotle associates with logos, in some sense phônê gathers the world and appeals to the good. On this account, logos would open the way to the meaningful, to the appearing, to the rightful belonging. But James argues instead for a resistance to that call, for a refusal to turn the noise into meaning, this refusal she calls melancholy. Queer sounds don’t make appeals, which are ways of recovering the damage (here I think of a counterpoint to the hysteric appealing to the master in Žižek’s reading of Lacan). There is meaning in this noise, just not in the way we have thought it. The question then becomes how this noise and this meaning works in a way that is for community and for justice but not for neoliberal human capital credit-bearing asset managers. I hear a Benjaminian resonance here. You appear before the law, but the law will not invest in you. You must do something for the law for the law to make you matter. If we recast Rancière’s twofold performance of injustice according to James’ analysis of resilience, it would seem that the first demand is to show my noise is useful to perpetuating the neoliberal order, and the second demand is to show that the community only pretends to see the usefulness of my noise, but in both cases, you are playing along. By contrast, James incites a refusal to play. No my noise is not meaningful, I will not be a part. I can only have freedom in my damage and exclusion because I am not making my damage and my exclusion matter. This seems like what James describes as the drive into the death. Those of us who have enough capital, enough privilege, to spare, we’re the ones who need to bear the weight of these ‘bad’ investments. White feminists like me need to be the ones actively “wasting” our human and social (and capital) capital investing in enterprises that, from the perspective of MRWaSP, offer only bad returns” (172-173). This makes sense to me. If we are asking the damaged, the unvalued, and the unheard to invest poorly in order to disrupt the system, then the real cost is that they remain damaged, unvalued and unheard. In biopolitics, the decision to invest in life is the division between life that will be made to live and life that will be made to die, a division that Foucault argues is justified through state racism. So the refusal to invest would seem to be submitting oneself to the state apparatus of death. The thing about going into the death is that it is death. But what happens when those who are already well-invested in go into the death? What happens when the system is losing its investment because those invested in refuse to re-invest? It seems as if that might be felt as a recognizable loss to a system that has already invested in those persons, and so feels their death as meaningful because such persons are valued. James speaks of resilience as a form of subjectification and thus, this refusal to invest becomes instead of non-subjectification, an alternative subjectification. This alternative subjectification would seem to force a change in the background conditions once the well-invested refuse to go back into the life of neoliberalism re-investment. Considered in the framework of noise and logos, I wonder if this means instead of remaining meaningless, that the noise becomes meaningful by changing the terms, changing the structure by which meaning must appear. Is this possible or will this too just become co-optable meaning? Is meaning as such co-optable by the neoliberal biopolitical regime? This is related to my questions regarding whether noise can not become signal. If making bad investments in noise rather than logos is what is required, does not that still in a sense make noise mean something? I wonder whether James might respond that producing value is not the same as producing meaning, and I want to hear more about how value and meaning might be importantly incongruous. *Heidegger’s account of language as conventional makes justice and the cry of injustice seem epiphenomenal upon language, which I find troublesome. James’ analysis led me to wonder further: does the noise that protests against the order, signaling a problem come first? Or does that noise itself only make sense once an order of justice is established? Gaia groans with the weight of Ouranos upon her. Is her groan mere noise that meets other noise until an order is established that sets everything in a proper order – the logos of Zeus? Or is Gaia’s groan a clarion call to set right what is not right, a noise that founds logos?